Techies Sphere: How to take Software Inventory in SCCM 2012? 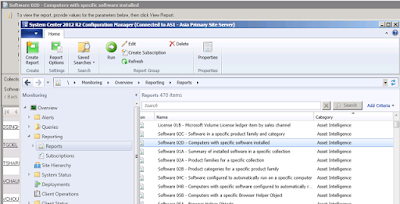 How to take Software Inventory in SCCM 2012? Or, How to take software inventory on particular collection or site in SCCM 2012? 1. Login to Sccm server. 4. 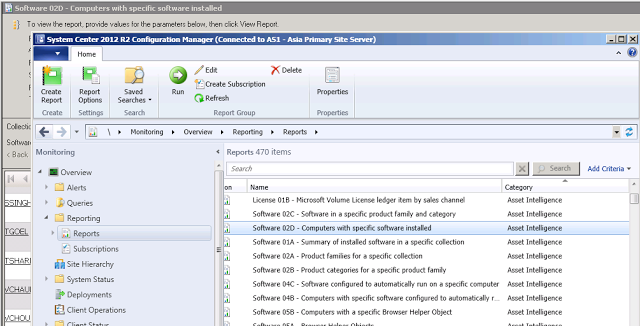 Click on Reports then click on computers with specific software installed. 5. This below window will open, Click on collection value and select like “Site Name” and then click on software product value and select like “kaspersky”. After click on view report.